Check out the most updated and latest information about Vidya Balan's on the Internet.We have 157 videos of Vidya Balan including interviews, events, or public appearances.Vidya Balan has over 182 Fans registered on India-Forums.com. We have 942 Bollywood News articles related to Vidya Balan.Do share your criticism, comments and feedback for the Actor on Vidya Balan's comments page. We have over 176 Photos of Vidya Balan to view and download including Vidya Balan's Wallpapers. Vidya , you are a class apart , all your action scenes are excellent ! The most important quality I like in you most is , you never allow any hero to steal the show !Simply mesmerize the audience with your mere presence ! That is called as inherent talent of a great actress! Vidya, Undoubtedly you're currently the best actress. Looking forward to your movies. Hope they'll be great as Dirty Picture and Kahani. 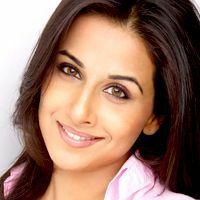 Im a Big Fan of You Vidya Balan. You are a Fab actress.. Ishqiya is my fav ... Be blessed. hey vidya congo for marriage!! and also for being 4th time award winner in a row! u r my favorite in bollywood film industry...proud that u r from kerala...u truely rock!! U r brilliant actress... I watch ur all movie..
o...la...la... tu hai sabki fantasy...Vidya i luv u the most!